Brand storytelling is more important today than it’s ever been. And yet, effective storytelling and content marketing across channels is a very different proposition from what it was even five years ago. With screens and devices all around us and a smartphone in every hand, people can experience stories anywhere and anytime. In fact, the power to define what’s worth watching has shifted completely to the audience. In order to reach consumers, brands need to deliver relevant content and experiences in each moment, while also telling stories in shorter bursts or micro-moments. Doing this effectively requires marketers to leverage both art and science—empowering their creative team to stretch further, while also using artificial intelligence and machine learning to test and experiment with what stories resonate most. We know stories matter, right? People don’t remember facts: They remember stories. As marketers, we too often hear our consumers say that they want the facts, but it’s the imagery and stories we use to help deliver those facts that help them grasp deeper meaning and concepts. Americans alone consume more than 100,000 digital words every day, and 92 percent say they want brands to use those words to tell stories. 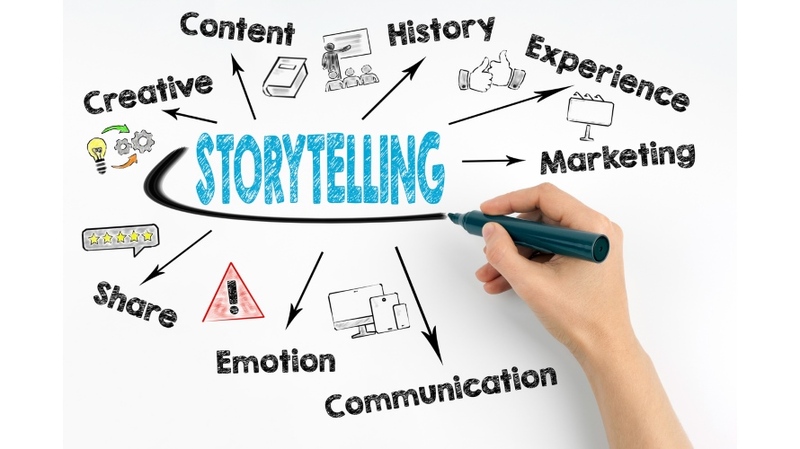 At the same time, even powerful stories can fail to drive engagement if they are not delivered in a relevant way or in an appropriate moment, or if that story fails to capture the customer’s precious attention in that moment. Personalization through data is a critical part of the storytelling puzzle in today’s digital landscape. Savvy brands use data to impact every stage of the customer journey, from raising brand awareness and lead generation to boosting loyalty and retention. AI and machine learning can help marketers personalize content they develop by understanding how factors including context, location and time of day impact engagement and delivering the right story and message in the moment to improve the overall experience. One brand that does a great job of using data to tell impactful stories is Airbnb. The brand is known for telling relatable stories in its ads that invoke the idea that no matter where they travel, anyone can “live like a local” and feel like they belong. Airbnb also taps into data to inform its marketing with local search and personalized content across channels. Amazon and Netflix are also examples. Netflix has built a robust recommendation engine that helps users discover new shows and content. Without data, Netflix wouldn’t be able to understand and present the types of relevant content viewers liked and wanted more of. In the past, marketers relied on broad segmentation, retrospective data and A/B testing to develop successful campaigns. But this approach doesn’t work anymore. Now, marketers are using AI and machine learning to inform the creative process from ideation to experimenting with hyper-relevant messages and content at scale. Done right, personalization enhances customer experience and increases engagement and loyalty by delivering messages that map to and even anticipate what customers will want. As customers provide signals and information about their needs and intentions through activities, brands can respond with relevant and timely content and experiences based on these triggers. Harley-Davidson of New York City is a great example. The popular motorcycle brand used AI to measure and optimize creative content delivered to target customers, increasing sales by nearly 3,000 percent in the first three months. This included targeted ads on social and aspirational content that made you dream of owning a Harley. Transparency is gold in this era of the self-directed consumer. People want to know how their data is being used, while also receiving relevant content and experiences from the brands they trust.